This year's National Lottery Awards finalists are currently up for a public vote. Each year, winners in seven categories win a £2,000 cash prize, as well as coverage on primetime BBC One. Action on Postpartum Psychosis (APP) is one of the shortlisted causes. But they need your vote to help to change lives, by getting the message about postpartum psychosis out to every family, healthcare professional and policy maker in the country. Postpartum Psychosis (PP) affects around 1,400 new mums in the UK each year. Symptoms of this devastating illness begin in the days following childbirth and include hallucinations, delusions, elation or depression, and extreme confusion. New mothers usually need to be admitted, with their babies, to a Mother & Baby Unit. The illness is traumatic for women and their families, but with the right support, women can make a full recovery and go on to have a happy family life. APP is a collaborative project run by women with PP, health professionals and academics, that provides support to families affected by postpartum psychosis. Jessica, 30, who lives in Brockley, had a normal pregnancy and no previous mental health issues. But after the birth of her son at Lewisham Hospital, Jessica experienced racing thoughts, insomnia, restlessness and anxiety. Her worsening symptoms were noticed by a midwife, and eight days after the birth she was back on the postnatal ward. She was separated from her newborn son, spending a week in the mental health triage unit at Ladywell, followed by a week on a women-only ward at the Maudsley, again without her baby. Jessica's symptoms worsened to include delusions — she believed she had superpowers. She thought she could tell what other people were thinking. And at times, thought she was living inside a computer game. 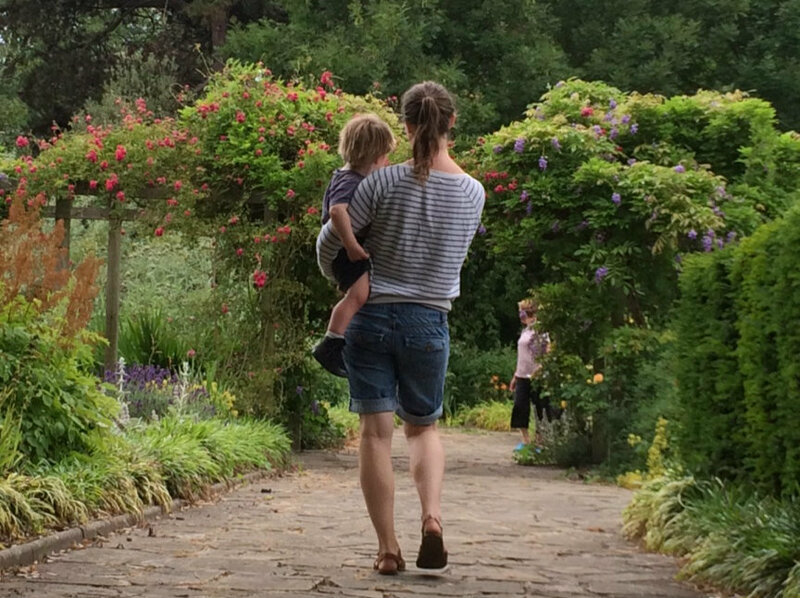 Jessica was finally diagnosed with postpartum psychosis, and got a bed at the Bethlem Mother and Baby Unit. At this specialist centre, she was finally reunited with her baby boy, learning how to breastfeed and regaining confidence in how to look after him. Jessica really appreciated Bethlem's leafy setting; she could go for walks in the surrounding woodland and wildflower meadows. "I know I was lucky with where I live and where I was ill. Nationally, there is a huge shortage of mother and baby unit beds. Ideally, I would have gone into the mother and baby unit straight away. If I'd been diagnosed earlier, perhaps I would not have been separated from my baby. But we need to support our local services and the links between them. They are vital, and they have to work together, and work together quickly." Jessica and her son stayed at Bethlem for three months, with some home visits, before they finally returned home. Like many London mums, Jessica is well educated, ambitious and has lots of friends. Neither she, her partner, family nor friends had ever heard of postpartum psychosis. Once she was home and feeling better, she began searching for answers. "I remember looking for information on the internet. The first time I searched 'postpartum psychosis', all these horror stories came up. I was terrified — and ashamed. But after seeing the episode of Call the Midwife which featured postpartum psychosis, I saw people talking about it on Twitter. That’s when I came across the first other real person who'd actually had this." Then Jessica found charity Action on Postpartum Psychosis online. "First I just read the forums. I could not read enough about other women and their own experiences." Eventually she got in touch with other members. "It has helped me become more open. Sadly, people don't feel able to talk about postpartum psychosis because of the stigma they still feel. APP is combating this. "APP is such an incredible charity doing essential work. Their volunteers go above and beyond to do everything they can to share information and to help people to recovery. Anything that can be done to raise awareness means women will get help faster, and recover faster." Jessica plans to volunteer herself for APP in the near future. But for now she wants to tell other women in London what happened to her. If you think you, or someone you know, may be suffering from postpartum psychosis, seek medical help straight away. Talk to your midwife or GP or health visitor. If they are unavailable, go to A&E or call 999. Most mums need specialist treatment in hospital. London has three specialist psychiatric Mother & Baby Units where mums can get the treatment they need alongside their babies. The APP Online Support Forum offers mums the chance to chat with others who have been affected by PP. If you would feel more supported by a private conversation, APP also offers One to One Email Support. Vote for APP as the Best Health Project in the National Lottery Awards 2015 by visiting the Lottery Good Causes awards website.